As a prospective teacher of students with language impairments, there are many skills to master and an even wider breadth of practical aspects and nuances to keep in mind. That’s why, in most states across the US, you can’t start your career without earning a passing score on the Praxis II Special Education: Teaching Speech to Students with Language Impairments exam. If the mere thought of this important exam looms threateningly over you, know you have easy access to all the tools you’ll need to succeed. 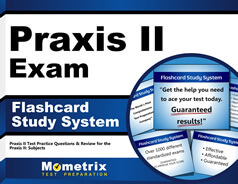 The Mometrix Test Preparation team would like to offer you our Praxis II Special Education: Teaching Speech to Students with Language Impairments (5881) practice test. We have conducted only the most thorough research to ensure this resource is as close as possible to the full exam. On the test you’ll find a total of 120 Praxis II Special Education: Teaching Speech to Students with Language Impairments questions. 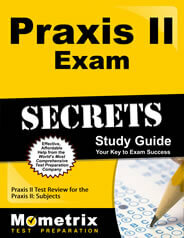 We encourage anyone who wants to thoroughly familiarize themselves with the test’s contents to take full advantage of our Praxis II Special Education: Teaching Speech to Students with Language Impairments practice test (and accompanying study guide).